Bobby Militello has played with many artists for the last 5 decades, along with leading his own groups. 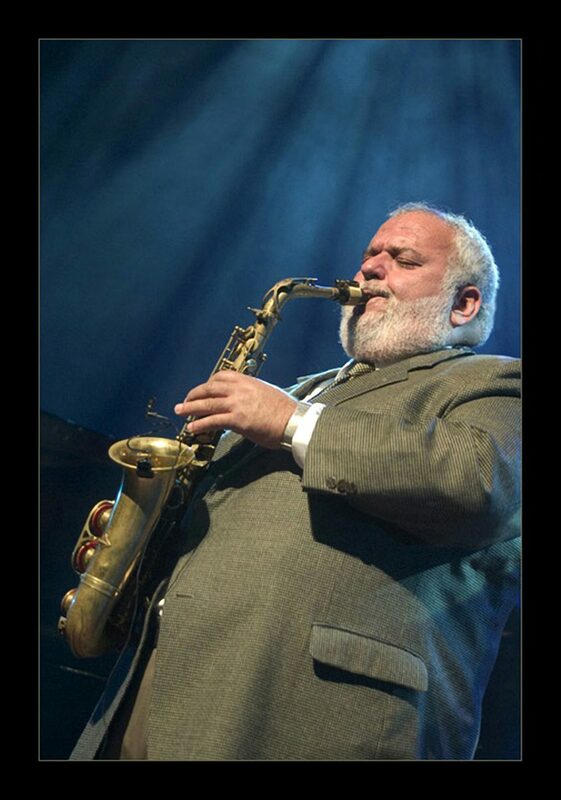 From 1982 to 2012 he played alto & flute with the Dave Brubeck Quartet and recorded over 25 cds, played with almost every major orchestra in the U.S., Canada and Europe, appeared in many International jazz festivals, television and radio shows. A childhood dream come true, his tenure with Dave Brubeck has proven to be one of the highlights of his life and career. From 1975 to 1979, Bobby played with Maynard Ferguson, also a childhood dream, on baritone sax and flute. During his tenure with Maynard, he appeared in the Downbeat Readers polls from 1976 to 1979 on bari and flute and received critical acclaim in numerous articles and reviews throughout the United States and Canada. He also became Maynard’s road manager for 3 years and recorded 4 albums with Maynard. 1982 and 1983 were especially great years. In 1982 Rick James, heard Bobby’s fusion group, RPM. He set Bobby up with a contract with Motown Records to record his first solo album Bobby M Blow”. This was a funk, R&B project. Executive producer Rick James and co-produced by Bobby and the great jazz drummer and producer Lenny White. While in the process of putting the project together and beginning to record, Bobby got a call from Dave Brubeck. Dave had heard Bobby in 1977 with Maynard Ferguson, in Sugarbush Vermont. He was looking for a new horn player and wanted Bobby to come to New York and audition for the band. While living in Los Angeles from 1983 to 1991, Bobby worked with many of the local resident world renowned composers and arrangers. To name a few, The Don Menza Quintet, The Dee Barton Big Band, Chuck Flores Big Band and Quartet, Steve Hoffstetter Latin Big Band, the Jeff Stradling Fusion Quintet, The Kim Richmond Jazz Orchestra, The Steve Segal Big Band and various television sessions at Lorimar Studios. Bobby played alto, flute and clarinet with The Bill Holman Big Band and recorded with him as well. He also played tenor, clarinet and flute with The Bob Florence Big Band, who he also recorded with. Through a calibration with pianist, arranger and composer Corey Allen, Bobby met Emiel van Egdom, composer, arranger and guitarist from Maastricht in the Netherlands. Bobby played alto, tenor and flute on six of Emiel’s recordings, along with some of the greatest studio players in Los Angeles. Again, through his association with Corey Allen, Bobby began playing with Cheryl Benteen, vocalist from the world acclaimed vocal group Manhattan Transfer. In 1991 Bobby moved back to Buffalo, NY, he was a contract player for the Buffalo Philharmonic Orchestra where he began playing for Doc Severinson. This lead to him joining Doc in various orchestra concerts, around the country, and then to a chair in the Tonight Show Band playing tenor, clarinet and flute, touring with the band for 2 years. Over the next 3 years he recorded a CD each year. Heart and Soul, Easy To Love, Straight Ahead. At the same time he was playing with trumpeter, arranger and composer, Jeff Jarvis, performing on three of Jeff’s CDs and various concerts throughout the U.S. From 2014 Bobby formed the Bobby Militello Quartet with Jim Colemon on bass, Bobby Jones on Keyboards and John Bacon Jr. on drums. This band performed at the 2014 Monty Alexander Jazz Festival, along with many other concerts and local venues.